Associated words used by netizens: FamiLEE, LEE-gime, LEEgalised corruption, LEEgacy, and Marry-tocracy. I was very curious about a Lee Family Tree graphic that was created by Alternative View SG. I have gathered some excerpts from reliable sources which verify most of the family ties in this Lee Family Tree image. Wong Kan Seng is married to Ruth Lee Hong Geok, who is rumoured to be the daughter of Lee Suan Yew (Lee Kuan Yew’s brother). If this is true, it makes Ruth Lee LKY’s niece. Wong Kan Seng with his wife, Ruth Lee Hong Geok. Image from Veritas. Ruth Lee and Wong Kan Seng. Image from RememberingLKY. 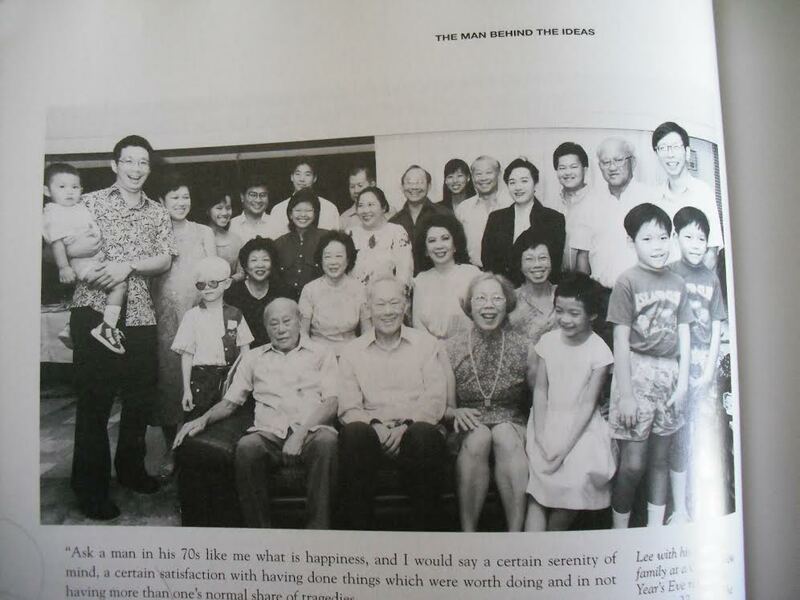 Lee Kuan Yew extended family picture, taken on Chinese New Year’s Eve (1993). From LKY’s memoir, “The Man and His Ideas” (pg-246). In the above picture taken in 1993, it looks like the woman to the right of Ho Ching is Shermay Lee (LKY’s niece). Her parents are Pamelia Lee and Lee Suan Yew, who have four children. Pamelia Lee is standing and in the centre of the 1993 photo. Looking at this pictures makes me wonder if the woman to the left of Pamelia Lee is “Ruth Lee,” the older sister that Shermay referred to. This section contains excerpts and screenshots which verify the other family ties in the Lee Family Tree graphic. Ho Ching (left; image from SI). Ho Sing (right; image from YTL). 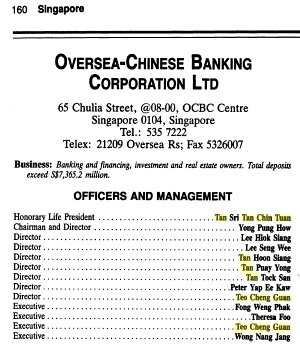 A 2010 Today Online article mentioned that Ho Sing, then 44, is the brother of Temasek CEO Ho Ching. Ho Sing has worked with several Singapore Technologies-affiliated companies. At YTL, Mr. Ho oversees a growing list of assets in Singapore, Malaysia, Australia, China and Japan. 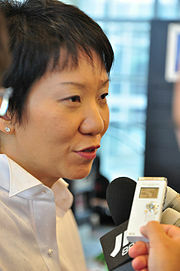 Ho Ching was the CEO of Singapore Technologies Group from 1997-2001. A 2007 NYT article mentioned that a Temasek spokesman was unwilling to reveal Ho Ching’s age or date of birth, although a Temasek bond document in 2005 said she was 52. Ho Peng. Image from ST.
A 2005 Fortune Magazine interview mentioned that Ho Peng, who was then working as the Curriculum Planning and Development director at the Ministry of Education (Singapore), is Ho Ching’s sister. 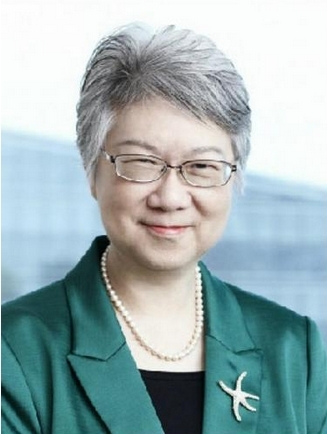 Ms. Ho Peng was appointed Director-General of Education in April 2009. She retired from the MOE in March 2015. James Fu was Mr. LKY’s press secretary from 1972 to 1993. Grace Fu. Image from Wiki. 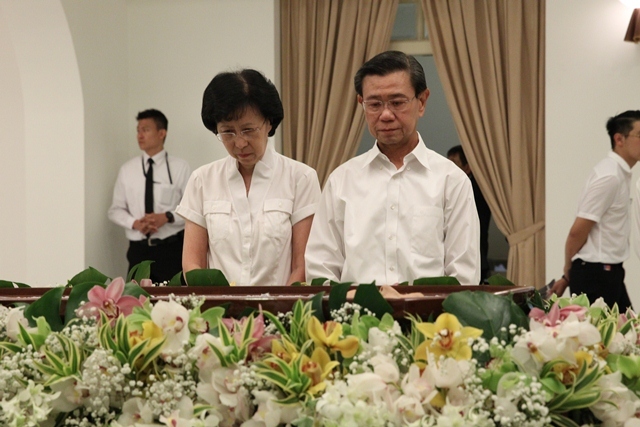 Grace Fu, senior minister of state, is the daughter of James Fu. In 2012, she wrote about the difficulties of “the recent pay cut” in ministers’ salaries. With a 37% pay cut, entry-level ministers would get an annual salary starting from S$1,100,000. Kwa Chong Seng. Image from PSC. 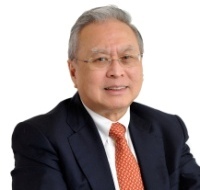 Kwa Chong Seng, PSC member, was the Deputy Chairman of Temasek Holdings (Private) Limited from 1997 to 2012. “It was in the immediate wake of the HPL affair of 1996 that LKY initiated a series of changes to the relationship between the DCAC and the GLCs — changes that were part of a broader overhaul of the financial sector that finally came to fruition in 1999. Lee Hsien Loong as Deputy Prime Minister was given special responsibility for this project and set about changing the structure — and the personnel — in the GLC sector. This activity marked a major shift of institutional power away from Goh and Richard Hu and to members of the Lee family and a few Lee loyalists. First the power to appoint board members and non-executive directors of GLCs was transferred from the DCAC to Temasek holdings. This is significant because it occured around the same time (1996) that LKY loyalist S. Dhanabalan was appointed Chairman of Temasek Holdings and LKY’s wife’s nephew, Kwa Chong Seng, was appointed Deputy Chairman of Temasek Holdings (1997). Kwa Soon Bee. Image from KeppelLand. “Many senior business figures in Asia are related to other prominent figures by blood or by marriage. The connections in Asia are often not obvious to outsiders but they can be a minefield for the unwary. Lee Kim Yew, Chairman of the Singapore food company Cerebos Pacific, is a brother of Singapore’s Senior Minister and former Prime Minister Lee Kuan Yew. Lee Kim Yew’s wife is Gloria Lee, the founder of one of Singapore’s most prominent stock brokerages Kim Eng Securities. 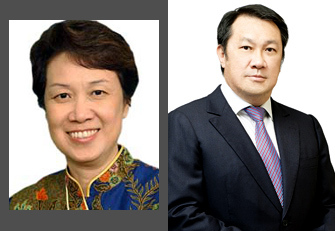 A third brother is Lee Suan Yew, a past director of Singapore’s Hotel Properties Ltd. His wife, Pamelia Lee, has been a senior director at the Singapore Tourist Promotion Board. Kwa Soon Bee, the brother of Lee Kuan Yew’s wife Kwa Geok Choo, is a former permanent secretary of health and a member of the Singapore Tourist Promotion Board. Group Photograph of Founding Members of OCBC, 1932, showing Tan Chin Tuan (front row; fourth from left) and Kwa Siew Tee (back row; third from left). Source: Veritas / NAS. 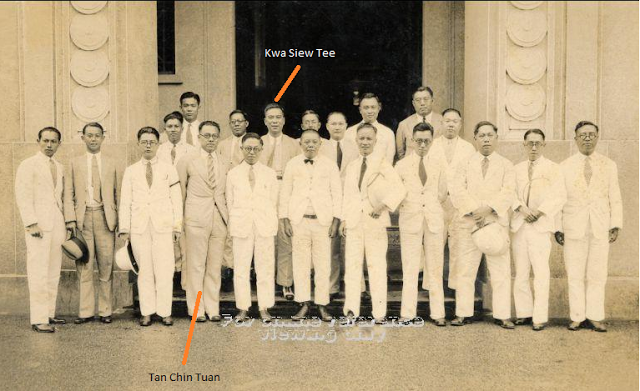 Kwa Siew Tee is Lee Kuan Yew’s father-in-law. Lee Kuan Yew’s mother-in-law, Wee Yew Neo and Banker Tan Chin Tuan’s wife, Helen Wee (a banker’s daughter), are half-sisters. 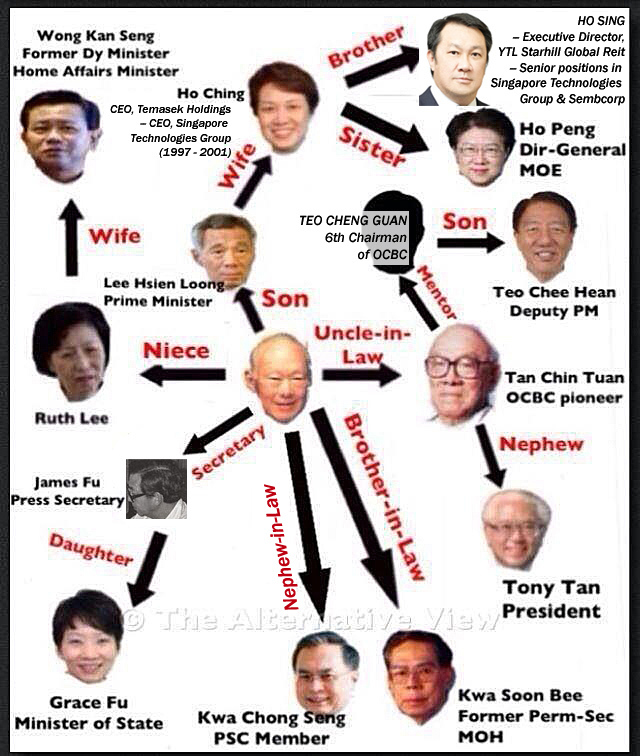 Which makes Tan Chin Tuan LKY’s uncle-in-law. Tony Tan is Tan Chin Tuan’s nephew. 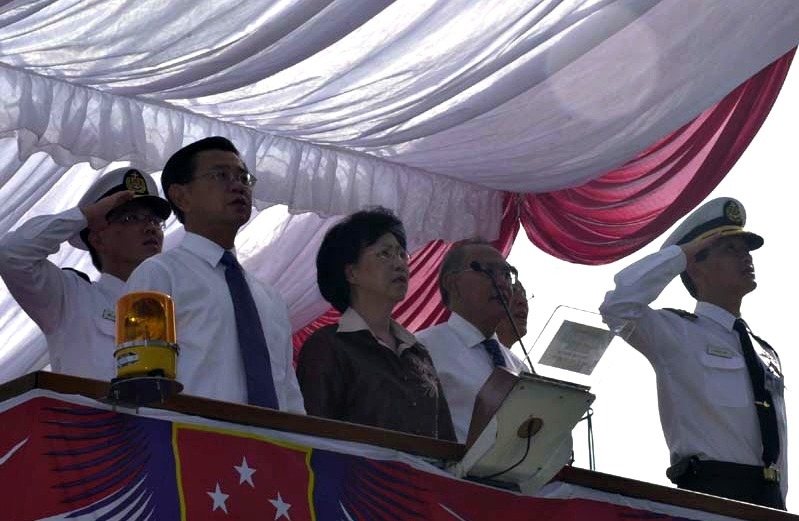 Tony Tan was sworn in as President on 1 September 2011. 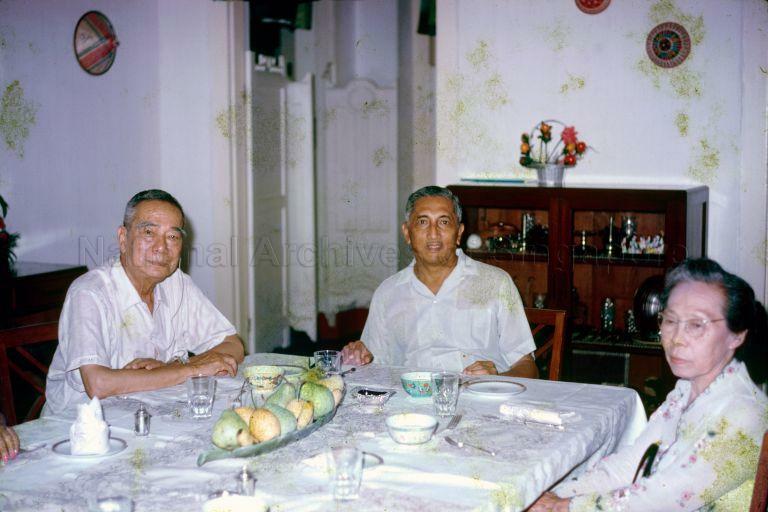 President Yusof Ishak with Mrs. Lee Kuan Yew’s Parents, Kwa Siew Tee (left) and Wee Yew Neo (right), 1968. | Image from National Archives of Singapore. 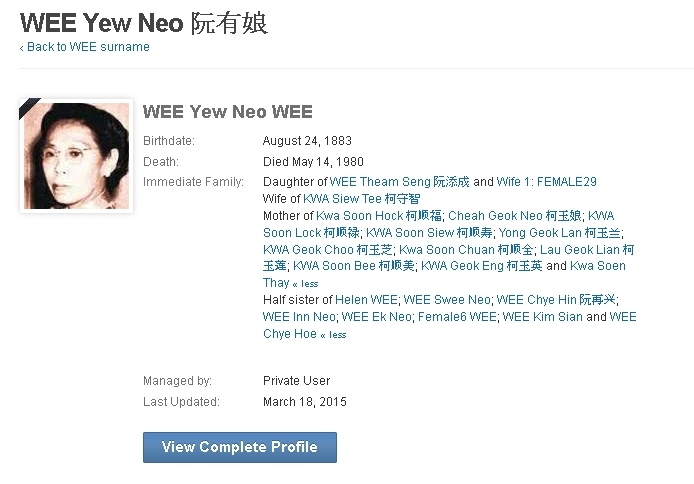 This screenshot from Geni (a genealogy directory) states that Helen Wee and Wee Yew Neo are half-sisters. Wee Yew Neo. Image from Geni. These screenshots show that Helen Wee was married to Tan Chin Tuan. Family of Tan Chin Tuan. Image from NLB. Tan Chin Tuan. Image from Geni. 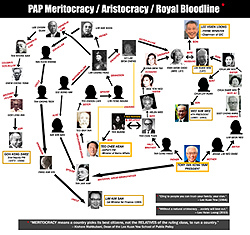 Without the Kwa family network of powerful families, it is questionable whether LKY could have emerged as the leader of the PAP in the 1950s, given that there were many other extremely capable and charismatic leaders in the party. The nexus of Kwa family probably also helped LKY to win the trust of the British, which handed over to him the control of security apparatus. 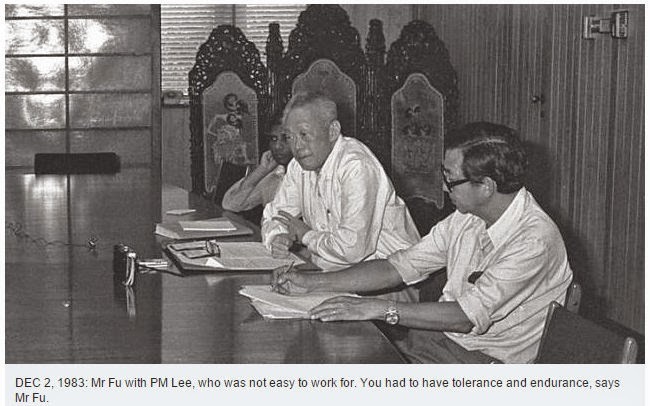 That is the key with which LKY was able to arrest his political opponents. 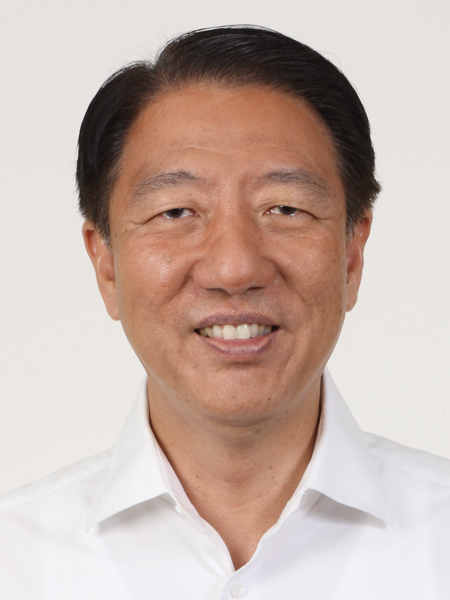 Teo Chee Hean, Deputy Prime Minister of SG. Teo Cheng Guan was the sixth chairman of OCBC Bank, and the father of Deputy Prime Minister Teo Chee Hean. He was on the same management board as Tan Chin Tuan, Tony Tan’s uncle. Source: The International Corporate 1000. A summary of how “nepotism” is a sensitive word in Singapore — including publications that were sued for alleging that high-ranking Singapore officials got their jobs through nepotism. * SECTION 4: IS NEPOTISM CORRUPTION? Forms of corruption vary, but include bribery, extortion, cronyism, nepotism, patronage, influence peddling, graft, and embezzlement. 2) “Favoritism, cronyism, and nepotism all interfere with fairness because they give undue advantage to someone who does not necessarily merit this treatment. In the public sphere, favoritism, cronyism, and nepotism also undermine the common good. When someone is granted a position because of connections rather than because he or she has the best credentials and experience, the service that person renders to the public may be inferior. “She did not marry me and become Temasek Holdings’ Chief Executive Officer. I married her because she had the talent of a CEO.” This was the dramatic revelation of PM Lee Hsien Loong in referring to his wife, Ms Ho Ching, in an interview with Mr. Phil Ponce, host of the Chicago Tonight on WTTW Channel 11 last Thursday. Apparently, this was said to pre-empt Mr. Ponce from popping the question of nepotism in the Singapore government. 3) The Beginning of The End of Lee Kuan Yew’s Dynasty? Teo Chee Hean – Related to Lee Hsien Loong? Of course this is all embarrassing…..mmmmm…..downright scandalous. French Revolution ? Russian Revolution ? Unfortunately, Singaporeans are deaf & blind and the ones who aren’t have all emigrated…thus leaving the dumb to procreate more dumb ones. That’s how the cookie crumbles. Thanks for your comments. Understand your sentiments — I think nature can be allowed to take its course. With the internet and social media in the mix, an exchange of ideas can take place. There are some people who were staunch PAP supporters who, in the past 1-2 years, no longer pledge blind support. It’s a collective effort re: getting people to open their eyes (perhaps the totally brainwashed ones can’t be helped; those on the fence…hmm!). (3) “relative” means, with respect to a public official, an individual who is related to the public official as father, mother, son, daughter, brother, sister, uncle, aunt, first cousin, nephew, niece, husband, wife, father-in-law, mother-in-law, son-in-law, daughter-in-law, brother-in-law, sister-in-law, stepfather, stepmother, stepson, stepdaughter, stepbrother, stepsister, half brother, or half sister. (b) A public official may not appoint, employ, promote, advance, or advocate for appointment, employment, promotion, or advancement, in or to a civilian position in the agency in which he is serving or over which he exercises jurisdiction or control any individual who is a relative of the public official. An individual may not be appointed, employed, promoted, or advanced in or to a civilian position in an agency if such appointment, employment, promotion, or advancement has been advocated by a public official, serving in or exercising jurisdiction or control over the agency, who is a relative of the individual. (c) An individual appointed, employed, promoted, or advanced in violation of this section is not entitled to pay, and money may not be paid from the Treasury as pay to an individual so appointed, employed, promoted, or advanced. (d) The Office of Personnel Management may prescribe regulations authorizing the temporary employment, in the event of emergencies resulting from natural disasters or similar unforeseen events or circumstances, of individuals whose employment would otherwise be prohibited by this section. (e) This section shall not be construed to prohibit the appointment of an individual who is a preference eligible in any case in which the passing over of that individual on a certificate of eligibles furnished under section 3317(a) of this title will result in the selection for appointment of an individual who is not a preference eligible.